Welcome my Subliminal 360 review. I work as an Accountant during the day (binauralbeatsguru is my passionate hobby!) and I spend almost all of my day working on my laptop. Then, like many people, I go home and use my laptop to browse the internet, go on social media and write during the evening. I saw some information about Subliminal 360 and wondered if I could use the time I spent on my computer to also reprogram my mind. So I recently picked up a copy to find out for myself. What is it: A software program to flash subliminal messages on your computer screen as you work to reprogram your mind. It can also creat custom subliminal audio mp3s and contains a library of brain entrainment audios. Pro’s: Easy to install, works on Windows or Mac, 350 category sets to choose from, 4000 different hand crafted affirmations, 28000 affirmations flashed per hour, includes brainwave entrainment subliminal audio files, you can add in your own custom messages, you can create custom audio mp3 files. You can then download these mp3s and use them anywhere. Con’s: Not many, really. Can’t download the audios in the brain hacker library. 2 Subliminal 360 Review – What is it and why do you need it? 3 What does Subliminal 360 actually do? 5 Subliminal 360 Review – What does it cost and is there a moneyback guarantee? 7 Are you wondering – does subliminal messaging work? Subliminal 360 Review – What is it and why do you need it? For most people, myself included, personal change can be really hard. You may decide that you want to change some aspect of your life but your old habits hang on. Whenever you take a step forward towards a new, better habit, they dig in, exert their power and drag you back. Sometimes we may really want a change but we need some help to get the results we want. This is where Subliminal 360 steps in to be that support. If you go to the sales page it suggests that you can boost your confidence while you type an email, or think yourself slim while you browse the internet, or improve your positivity while you play a computer game. It reads like a scene from the Matrix, selecting the personal attributes you want to have, from better focus to weight loss to improved memory, and installing them to your mind. Put simply, it does it by flashing positive affirmations of your choice on your screen for milliseconds at a time. These affirmations are barely registered by your conscious mind but your subconscious sees them, and it is your subconscious that is in charge! And the multiple repetition of the affirmations lead to changing limiting beliefs and habits to empowering ones. This is a very simple but powerful software application that you download to your computer or Mac and install. It runs locally and, once downloaded, you don’t need an internet connection to use it. If you use a computer a lot, this software program can be your swiss army knife of personal development. It delivers a number of amazing tools to help you achieve your goals and desires more easily. Take the Subliminal 360 Tour + Claim 5 FREE Brain Hacker audios here! What does Subliminal 360 actually do? We can receive messages subliminally either through our eyes or our ears and this software covers both. The software can flash thousands of affirmations on your screen while you carry on working. They are mostly hardly noticeable but occasionally you may see a brief flash in your peripheral vision as you work and you know they are doing their job. You can choose up to five sets to be running at any one time and they run continuously while your computer or laptop is on, those messages being sent straight to your subconscious. One of the things that make this software stand out in the crowd is it’s ability to allow you to customise your messages. Often you may look for prerecorded audios and you cannot find one that covers your express need. With Subliminal 360 that isn’t a problem as you can key in your own specific affirmations to be flashed on the screen. You can set up custom sets using your own words to be shown by Subliminal360. If you are motivated by images, you can even add in your own images that motivate you to make this an extremely personal session. You can configure the flashes in quite a lot of ways to suit your computer screen and the way you want to work. You can change the font, size, colour and transparency of the flasing message. You can determine if it should flash quickly or slowly and the length of the interval between each message. Finally, you can decide where on your screen it should display and whether it will show up in random places. And just so you don’t forget your purpose and remain mindful of your goals, every time you turn on your computer, the software will show you a welcome page which reminds you of the sets you are using. If you feel you have achieved these changes, pick a different goal and a different set of affirmations. You can buy subliminal audio mp3 files and they do work well if the messages in them exactly fit your particular self improvement needs. But you don’t even need to look because you can produce custom subliminal audio files using this great software. Choose your affirmations. You can pick from the presets or you can key in ones of your own. Record your chosen affirmations in your own voice. Affirmations heard in your own voice will carry much more power. 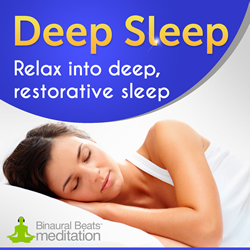 Choose your background music track to suit the mood of the affirmations. There’s lots to choose from ranging from classical tracks to workout tracks to spa. Play the audio! Or go mobile and transfer the file to your phone or tablet, or even burn to a cd. That’s all there is to taking action to become the best possible you. 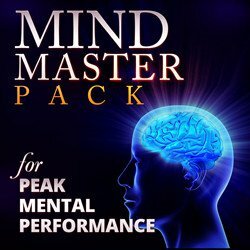 To top off the package, the software comes with a built in library of over 25 Brain Hacker brainwave entrainment audio sessions which sell at a retail price of over $350. You get to listen to these subliminal mp3 files through Subliminal 360 on your computer but you can’t copy them off to your phone for later. 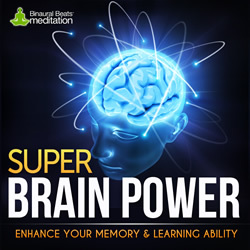 These brain hacker sessions use special tones which can gently guide your brain into a resourceful state which can help you absorb and integrate the affirmations into your subconscious mind. Click here to find out more about brainwave states. All you need to do is pick your session and play it in the background. If you haven’t played that particular session before there is a slight delay while it downloads but it only does this once. 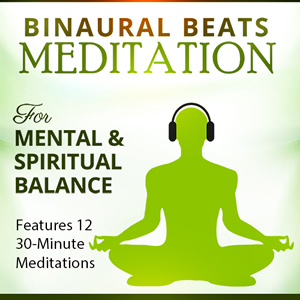 As these audios use isochronic tones, you don’t need to wear headphones and with many of them – such as focus and concentration brain hackers – you can carry on working. This makes them really useful if you are fortunate enough to be able to play music while you work. If you are able to wear headphones as you work, you will get even better benefits as you will not suffer distractions around you. 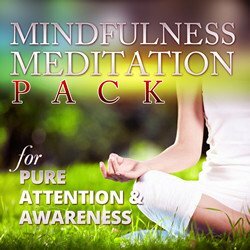 Most last for 40 minutes and have subliminal sessions to help with meditation, iq increase, streaa release and many other topics. Subliminal 360 Review – What does it cost and is there a moneyback guarantee? Inspire3, the company that produces the software, is a quality manufacturer of binaural beats and brainwave entrainment products but they sometimes come across as a bit pushy in their marketing. Here, they felt the need to offer three pricing levels, Amazing, Awesome and Everything, priced at $97, $127 and $147 respectively. I guess they think consumers feel better at making a decision if they have a choice. But they then offer a discount code which brings Everything down to $97, making it a no-brainer to get the Everything package. I have bought other products from them and they do offer fast, awesome lifetime support so you can get help if you are stuck at any time. Plus they give you a full one year money back guarantee refund period to try out the product. I’ve been using Subliminal 360 for about a week and I truly think it’s a great product. I flashed affirmations relating to being creative and listened to the creativity plus brainstorming brain hacker session while writing this review. I genuinely feel it helped me get into the flow and explain how this great product can help your personal development efforts. I really would recommend giving it a try to see it for yourself. If you’re in two minds about it, the one year, no questions asked, no small print refund guarantee should really reassure you. Are you wondering – does subliminal messaging work? Many people will have heard the legendary story of the subliminal test of a cinema very briefly flashing background images of popcorn and drinks to encourage sales of the products in the foyer. The end of the story depends on the teller – some say it increased the sales of the products, some say it did nothing and some say it never even happened! But there is no doubt that subliminal messages offer an opportunity for personal development. It has long been understood that we will be more successful in behaviour change if we appeal directly to the subconscious part of our brain which just accepts our statements as real without question or judgement. Subliminal affirmations can bypass the critical conscious mind and go directly to the subconscious where they can influence our thinking and habits much more easily to achieve our goals for change. Whether we want to break bad habits, increase our powers of concentration, get more energy or boost our immune system, we can use this technique to help with a lot less effort. It has been proven that visual and auditory information can be sent to the amygdala without us even being aware of it. When subliminal messages are flashed at a rate that is faster than the conscious mind can logically take in, the human brain is nonetheless able to process this visual information. We are unaware of the images but they still make their way into the subconscious. Even if we know the flashing is taking place, there is no need for conscious effort on our part. We do not need to try to take the information in and process it, we can just relax. The data is still read and assimilated by our minds. Just as the brain can see fast images without you realising, it can also hear low volume subliminal affirmations that you do not consciously register. This is usually achieved by ‘hiding’ the messages under music tracks or nature sounds. The audio tracks take the attention of the conscious mind allowing the subconscious to hear and assimilate the subliminal messages underneath the music. It is thought that the subconscious mind is many many times more powerful than the conscious mind and that it is behind all that you think and believe. It is literally running your life. It makes sense, then, that if you want to make changes in your life that are going to stick, your best chance of success is to access the subconscious mind directly to modify any thoughts or beliefs that are holding you back. One of the easiest and most effective ways to do this is via the use of visual flashes and audio subliminal messaging. I hope you enjoyed my subliminal 360 review . If you did, please leave a comment or leave a like on Facebook. It would be great to hear from you and I would really appreciate it.